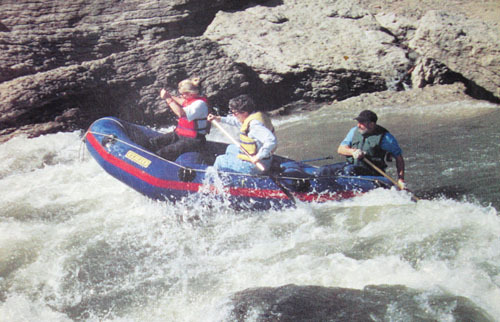 Vermillion River Rafting offers three to four hours whitewater rafting and kayaking adventures on the Big Vermillion River. Please be advised under new law we have a minor change in our rental procedure. You are required to watch a few safety videos. After watching these videos, you will be asked to sign a certificate to confirm you have completed the procedure as required. You can watch these videos on our website before you arrive or we will also have them available at our rental location.